What seemed to be a straight-forward match for Team ENCE ended in a 0-2 loss while playing against fnatic Academy in ESWC 2016, leading Juho ‘juho’ Lampinen to take to twitter where he claims he is leaving his teammates behind and officially stepping down from playing with Team ENCE. While ENCE started out strong on the 1st map Cache, things quickly took a turn for the worst once they switched to the CT side. Ending up at a 16-14 scoreline for fnatic Academy. 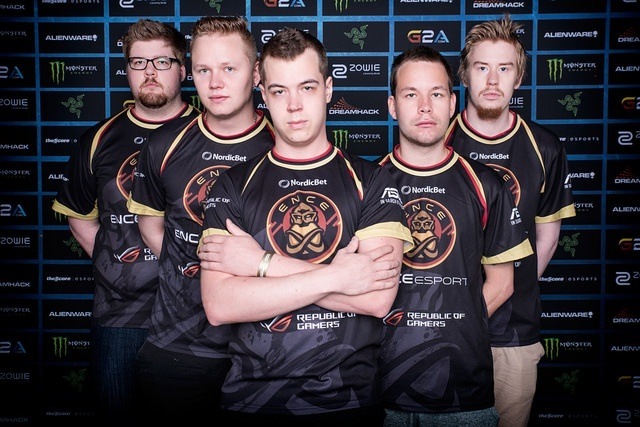 While they still had 2 more maps to go it was clear some of the players on ENCE weren’t happy losing the first map. The 2nd map Mirage started out strong for fnatic Academy going 13-2 in the first half but ENCE quickly answered on CT side winning 10 rounds, but it was not enough as fnatic Academy only had to win 3 rounds to claim the win, bringing it back to a 16-12. Juho ‘juho‘ Lampinen played the best out of all 10 players on both maps combined, putting up a staggering 49-36 K/D with a 1.31 rating, but it was not enough to carry the team to victory. Clearly when putting up big numbers and still losing Juho has some merit to be upset, now if he is truly leaving ENCE for good remains unknown or if he was just upset after losing two very close matches.